LONDON, ON – Bonnie Brooks, Vice Chair Hudson’s Bay Company, will be the first woman to receive the Ivey Business Leader Award and will address Canada’s most prominent business leaders at the annual gala dinner in Toronto on October 30, 2014. Ms. Brooks joined Canada’s pioneering retailer, Hudson’s Bay, as President and CEO in 2008 and was appointed to President of the Hudson’s Bay Company in 2012 when Lord & Taylor (USA) was rolled into Hudson’s Bay Company. Successfully engineering a major turnaround at The Bay over the past five years, she was named Vice Chair in 2014 – one more achievement in a ground breaking career in the retail fashion industry which spans over three decades and three continents. Prior to joining Hudson’s Bay Ms. Brooks served in several retail leadership positions, including President at Lane Crawford Joyce Group, the Hong Kong based retail giant with over 500 stores in Asia, between 1997 and 2008. Previously she held executive roles with Holt Renfrew Canada including Executive Vice President / General Merchandise Manager. The Ivey Business Leader Award will be presented at a black-tie dinner at Toronto's Ritz Carlton Hotel. Proceeds from the annual event have supported the Ivey Alumni Association Toronto Chapter HBA and MBA Scholarships established to attract top students to the School and the Toronto Alumni Professorship in Business Leadership, and will now support the new Ivey Building. Ms. Brooks, an Ivey MBA graduate, is also Chair of the Board of Trustees of the Royal Ontario Museum, a member of the Board of Directors of Empire Company Limited (Sobeys), a member of the Board of Trustees for RioCan Real Estate Investment Trust and a member of the Foundation Board of CAMH. 2012: Rick George, Former CEO Suncor Inc.
2006: Isadore Sharp, Chairman and CEO, Four Seasons Hotels Inc.
2001: Harrison McCain, Chairman, McCain Foods Limited, and G. Wallace McCain, Chairman, Maple Leaf Foods Inc.
1997: Frank Stronach, Chairman of the Board, Magna International Inc.
1995: R. Jack Lawrence, Deputy Chairman, Nesbitt Burns Inc.
1994: Robert Nourse, President and CEO, The Bombay Company Inc.
"Bonnie Brooks", "Hudson's Bay Company", "Hudson's Bay", "Ivey Business School", "London"
Two of the above, Tim Hortons and President's Choice, are considered to be 'Canadian'. The Most Influential Brand study examined key dimensions that define and determine the most influential brands in Canada, including: Leading Edge; Trustworthiness; Presence; Corporate Citizenship; and Engagement. Interesting differences were seen in how the genders, generations and regions view brands. The Millennial generations love their new media with YouTube, Pinterest and Netflix ranking quite high among this group, while Gen Xers find The Weather Network as more influential than their Boomer or Millennial counterparts. Among iconic Canadian brands, Tim Hortons is very influential among Ontarians, while the CBC ranks particularly high among Men, Boomers and those from Quebec and the Maritimes. The Most Influential Brands study was conducted in December 2013. The online survey of 5,008 adult residents of Canada was conducted using the Ipsos iSay Panel. The results are based on a sample where weighting was employed to balance demographics and ensure that the sample’s composition reflects that of the actual Canadian population according to Census data. The precision of Ipsos online polls is measured using a credibility interval. In this case, the results are considered accurate to within +/- 1.6 percentage points, 19 times out of 20, of what the results would have been had the entire population of adults in Canada been polled. "Apple", "Facebook", "Google", "Hudson's Bay Company", "Ipsos Reid", "Master Card", "Microsoft", "President's Choice", "Tim Hortons", "Visa", "Walmart", "YouTube"
Saks Fifth Avenue will open its Canadian flagship store within Hudson's Bay's 851,000 square foot store at 176 Yonge Street (at Queen Street) in Toronto. The 150,000 square foot Saks store will span several levels. It is expected to open late 2015, about a year before the scheduled opening of Nordstrom a couple of blocks north at the Toronto Eaton Centre. As part of the Saks deal, Hudson's Bay sold its Queen Street flagship (as well as an adjacent office tower) to landlord Cadillac Fairview for about $650 million. Cadillac Fairview operates the adjacent Toronto Eaton Centre. Hudson's Bay will lease back its store for the next 25 years with the option to extend the lease by nearly 50 years thereafter. Hudson's Bay and Saks (as well as the concessions contained within) will be integrated into Cadillac Fairview's Toronto Eaton Centre marketing, as they will be considered part of the mall. Money used from the proceeds of the sale of the Hudson's Bay flagship will go towards debt payments as well as to further expand Saks into Canada. The announcement of Saks at Yonge and Queen is surprising since we had expected that Saks' Canadian flagship would replace Hudson's Bay at Toronto's Yonge and Bloor intersection. In excess of 300,000 square feet, it would have been the world's second-largest Saks store. Cadillac Fairview reportedly convinced Bay CEO Richard Baker to abandon plans to build the Yonge & Bloor Saks flagship in favour of a Queen Street Saks. We've been told that plans for the Yonge and Bloor Bay store have been scrapped for now, and that the entire Bay store could be shuttered and subdivided as part of a redevelopment. Hudson's Bay also recently introduced a 19,000 square foot TopShop/TopMan concession into its Queen Street store, and New York City-based Kleinfeld Bridal will open a 20,000 square foot seventh-floor location in May. Cadillac Fairview has stated that both of these will be featured prominently in Toronto Eaton Centre marketing as well. Earlier this month, Nordstrom announced that it will occupy 213,000 square feet of Sears' Toronto Eaton Centre space. With Nordstrom anchoring the northern side of the Toronto Eaton Centre and a combined Saks/Hudson's Bay to the south, the Toronto Eaton Centre will see its image elevated substantially in a relatively short period of time. La Maison Simons could also move into some of the space vacated by Sears. Inserting the 150,000 square foot Saks store into the Queen Street Hudson's Bay will be a challenge. A considerable portion of the Bay store has already been renovated, including portions of the store that we expect to be utilized for Saks. We suspect that Saks will be located at the eastern end of the flagship Hudson's Bay store. Recently completed renovations for a second-floor men's store may therefore have to be demolished. In addition, the future of Hudson's Bay's women's luxury department 'The Room' is in question, as it occupies over 20,000 square feet of the eastern end of the store's third floor. Another challenge for Saks and Hudson's Bay is that a significant amount of space on the store's ground floor was recently dedicated to one of the world's largest women's shoe departments. Inserting the 150,000 square foot Saks store will require prime ground-floor retail space. Time will tell what will become of the Queen Street Bay and its recent renovations. Richard Baker says that 'food halls' will be introduced into both its flagship Toronto Eaton Centre store as well as its Sherway Gardens store. These could be similar to food halls in European department stores such as Harrod's in London, Le Bon Marché in Paris or Ka De We in Berlin. We'll update you on this and other Saks-related details as they arise. "Hudson's Bay Company", "Hudson's Bay", "Saks Fifth Avenue", "Toronto"
Below is a press release revealing that Saks Fifth Avenue will build a 150,000 square foot Toronto flagship, as well as a second location at Sherway Gardens. We'll update this article shortly with updated information and analysis. Hudson’s Bay Company (TSX:HBC) and its wholly-owned subsidiary Saks Fifth Avenue announced today plans to open a full-line Saks store in the heart of downtown Toronto at the Hudson’s Bay flagship store at the corner of Queen Street and Yonge Street. The approximately 150,000 square-foot, multi-level Saks is planned to open in the fall of 2015 and will be co-located with the current Hudson’s Bay store. HBC has agreed to sell its downtown Toronto flagship retail complex and the Simpson’s Tower located at 401 Bay Street to an affiliate of The Cadillac Fairview Corporation Limited for a purchase price of $650 million. HBC will lease the entire retail and office complex back for a base term of 25 years with renewal options for a term just under 50 years. Proceeds of the transaction will be used to reduce the Company’s debt and invest in growth initiatives. The transactions are subject to customary conditions and are expected to close on or about February 25, 2014. As part of this transaction Saks has also agreed to lease space in Toronto’s Sherway Gardens for a full-line Saks store. “We are excited to be the first to bring Saks to the Canadian market as part of this iconic property in the heart of downtown Toronto,” said John Sullivan, President and Chief Executive Officer, Cadillac Fairview. "Hudson's Bay Company", "Hudson's Bay", "Richard Baker", "Saks Fifth Avenue", "Sherway Gardens", "Toronto"
We want to give recognition to the news reporter who wrote our favourite Canadian retail article of 2013. The Globe & Mail's Marina Srauss composed a lengthy piece on the Hudson's Bay Company CEO Richard Baker's purchase of Saks Fifth Avenue. The article was published in the November 27th Report on Business Magazine. The writing, research and content is exemplary and worthy of recognition. Needless to say, we think the article deserves a look and we encourage you to click here to see it. For those interested in the future of Saks Fifth Avenue in Canada and how the deal came about, the article is captivating. Ms. Strauss starts by revealing that Richard Baker intends on opening the world's second-largest Saks Fifth Avenue store at Toronto's Yonge and Bloor Street intersection, replacing a current Hudson's Bay store. Ms. Strauss went above and beyond, travelling with Mr. Baker on his private jet to New York to learn more about the deal as well as Baker's work and family life. Details of a failed Bloomingdale's deal are provided before it is revealed that Baker really wanted to buy Saks Fifth Avenue all along. Ms. Strauss further interviewed the 'competition' including Holt Renfrew President Mark Derbyshire. She also interviewed various suppliers and retail experts. She then provided excellent analysis of her research, outlining increased competition in Canadian luxury retail now that Saks and Nordstrom will open here. Thank you, Marina Strauss, for this and other excellent retail reporting over the past year. We look forward to more outstanding journalism in 2014. "Globe and Mail", "Hudson's Bay Company", "Hudson's Bay", "Marina Strauss", "Richard Baker", "Saks Fifth Avenue"
On Friday we reported that Saks Fifth Avenue's Canadian flagship would be built at the corner of Yonge and Bloor Streets in Downtown Toronto, replacing a 342,000 square foot Hudson's Bay store. The new Saks reportedly be the second-largest in the world, surpassed only by its 646,000 square foot Manhattan flagship. The surrounding shopping area is expected to be elevated with the new Saks, potentially leading to luxury retailers moving or even relocating Eastward towards Saks on Toronto's Bloor Street. The approximately $100 million that HBC CEO Richard Baker is willing to spend on the store will hopefully help alleviate downfalls with the current space, including low ceilings and awkward access points. Saks' Manhattan flagship has exceptionally high ceilings, creating sense of drama for the store. This is unfortunately not the case for the Yonge and Bloor Hudson's Bay. It has considerably lower ceilings, having been built in the 1970's when lower ceilings were an acceptable trend. We lack knowledge on how to modify low ceilings and we welcome feedback as to if there is any way this could be remedied. The current Bay store, as well, has relatively awkward access points that involve having to take a half-flight of escalators from the street level to the main floor of the store. The store is also awkwardly accessed from the busy subway station level below, and Saks will sit directly above the intersection of the Yonge and Bloor subway lines. It will be interesting to see how the new store will be configured in light of these ceiling and access limitations. Richard Baker says Toronto's Saks will be "twice the size" of Holt Renfrew's Bloor Street flagship. The retail portion of Holt Renfrew's Bloor Street store features is somewhere in the 120,000-150,000 square foot range, as part of the store's total area of about 185,000 square feet (including storage and other uses). We base this 185,000 square foot estimation on Morguard Properties' website, noting that Holt Renfrew occupies almost 176,000 square feet with the Holt Renfrew Centre. Holt Renfrew also occupies more retail space within the adjacent 60 Bloor Street West building, including about 3,800 square feet of ground-floor space as well as a few thousand more dedicated to personal shopping suites within the office building at 60 Bloor. Based on our rough calculations of Holt Renfrew's size, Bloor's Saks Fifth Avenue could occupy somewhere in the 240,000-300,000 square foot range and possibly more, all the way up to the 342,000 square feet of retail space currently occupied by Hudson's Bay. Regardless, the Bloor Street Saks will likely become Canada's largest luxury department store, surpassing the size of the recently announced Ogilvy/Holt Renfrew store to be created in Montreal. Holt Renfrew, itself, could expand its Bloor Street premises. Last year we reported that the store was to significantly expand to a size in excess of 200,000 square feet. The project is currently on hold and is expected to see modifications, and we're waiting to learn new details on the store's expansion. The area surrounding the new Saks will undoubtedly be elevated thanks to its new neighbour. The 'luxury zone' of Toronto's Bloor Street West has, lately, been concentrated on Bloor Street between Bay Street and Avenue Road. Holt Renfrew and Maison Birks fall outside of this boundary, both being between Bay Street and Yonge Street. With Saks' arrival east of Yonge Street, as well as new retail being constructed at neighbouring 1 Bloor Street East, we could see more luxury retailers moving eastward towards Saks. Lack of retail space on Bloor Street has been a contributing factor to the lack of luxury retail in Toronto in comparison to similar-sized cities like Chicago. Chicago's Michigan Avenue, Oak Street and surrounding streets have seen a continuous influx of luxury retail that arguably surpasses that of Toronto. Sources tell us that one of the challenges brokers are having placing luxury tenants in the Yorkville area is the lack of potential flagship retail space, and that could change as the desirability of Bloor Street's eastern portion is heightened by the new flagship Saks. Next week we'll discuss where some of Saks Fifth Avenue's other Canadian stores could open, in light of this now well-read Globe & Mail article written by Marina Strauss last week. "Holt Renfrew", "Hudson's Bay Company", "Hudson's Bay", "Saks Fifth Avenue"
store. The store could cost as much as $100 million to build. It will apparently be the second-largest Saks Fifth Avenue store in the world, following its massive Manhattan flagship. 's 316,000 square foot Manhattan store). Time will tell if Toronto's Saks will be even larger than Bergdorf's. Canadian Saks Fifth Avenue stores, including several suburban locations. We hope everyone stays safe this Black Friday, and we'll be back Monday with articles about Saks Fifth Avenue's plans for Canada. This is good news for those anticipating the completion of Saks Fifth Avenue's purchase by the Hudson's Bay Company. Saks shareholders have approved the merger, and the deal is scheduled to close next Monday. 99.4% of Saks shareholders approved the deal. Potential litigation by shareholders has also been settled. Hudson’s Bay Company (TSX:HBC) (“HBC” or the “Company”) announced that the merger of Saks Incorporated with HBC was approved at a special meeting of Saks Incorporated shareholders held earlier today. Accordingly, HBC plans to complete the merger on November 4, 2013. The merger will create a premier North American fashion retail business centered on three iconic retail brands – Hudson’s Bay, Lord & Taylor and Saks Fifth Avenue. The combined Company will operate a total of 320 stores, including 179 full-line department stores, 72 outlet stores and 69 home stores in prime retail locations throughout the U.S. and Canada, along with three e-commerce sites. The combined Company would have generated pro forma sales and normalized EBITDA in fiscal 2012 of approximately C$7.2 billion and C$587 million, respectively, before any synergies. HBC has stated that it plans to expand the Saks’ banner to Canada, opening as many as seven full-line Saks Fifth Avenue stores and up to 25 OFF 5TH outlet locations over the next several years. The Company intends to expand Saks’ e-commerce presence in Canada by establishing a Canadian saks.com website. HBC will also continue Saks’ existing plans to further expand the OFF 5TH footprint in the U.S.
As previously announced, HBC expects the merged enterprise to achieve C$100 million of annual synergies within three years through a combination of shared services, operational efficiencies and implementing best practices across banners. HBC also announced key executive leadership roles at the corporate and business unit levels. As previously reported, Marigay McKee will become President of Saks Fifth Avenue, effective January 6, 2014, and Liz Rodbell will become President of the HBC Department Store Group (Hudson’s Bay and Lord & Taylor), effective February 1. Both will report to HBC’s Office of the Chairman, which consists of Richard Baker, Governor and CEO, and Don Watros, Chief Operating Officer of HBC. Saks Fifth Avenue will remain a separate operating unit under the HBC umbrella, maintaining its own merchandising, marketing and store operations teams. 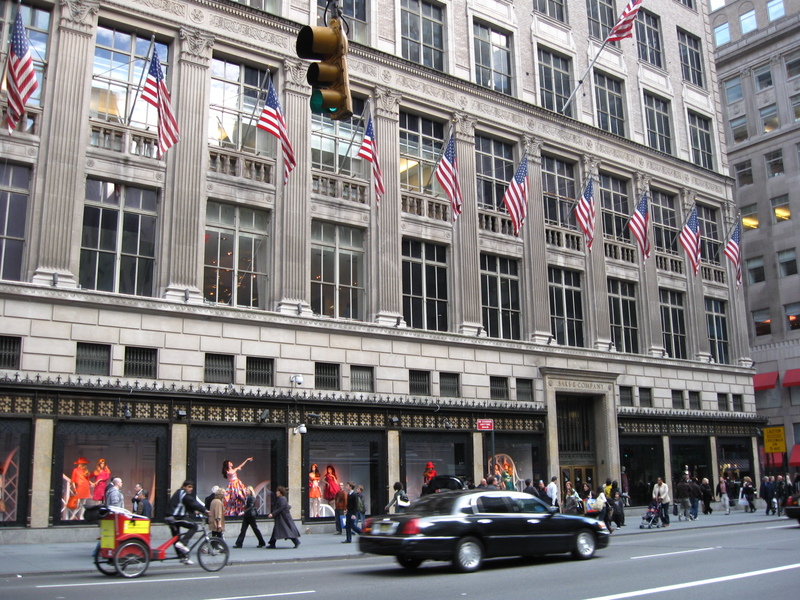 Saks’ operations will continue to be headquartered at its existing New York City offices. Additionally, key members of Saks' senior merchant and store-level leadership teams will remain in place following the merger. The Company also noted that key members of its corporate leadership team, including Chief Operating Officer, Don Watros, and Chief Administrative Officer, Marc Metrick, held senior management positions at Saks prior to joining HBC. In addition, HBC announced a number of key members of its Corporate Shared Services group, which was created to provide an effective platform for the operation and growth of the Company and its retail brands. The Shared Services group, which reports to the Office of the Chairman, includes: Marc Metrick, Chief Administrative Officer; Mike Culhane, Chief Financial Officer; David Pickwoad, General Counsel; Brian Pall, President-Real Estate; and Kerry Mader, EVP-Store Planning, Design & Construction. Hudson's Bay Company (HBC), founded in 1670, is North America's longest continually operated company. In Canada, HBC operates Hudson's Bay, Canada's largest department store with 90 locations, unsurpassed in its fashion, beauty, home and accessory designers and brands, as well as thebay.com. HBC also operates Home Outfitters, Canada's largest home specialty superstore with 69 locations across the country. In the United States, HBC operates Lord & Taylor, a department store with 49 full-line store locations throughout the northeastern United States and in two major cities in the Midwest, and lordandtaylor.com. With approximately 29,000 Associates in Canada and the U.S., Hudson's Bay Company banners provide stylish, quality merchandise at great value, with a dedicated focus on service excellence. Hudson's Bay Company trades on the Toronto Stock Exchange under the symbol "HBC". There can be no assurance that the transaction will close or that an equity or debt offering will be undertaken or completed in whole or in part or the timing of any such transaction. No securities will be offered or sold in the United States or to U.S. persons absent registration under the U.S. Securities Act of 1933 or the availability of an applicable exemption from such registration. This press release does not constitute a solicitation of an offer to purchase, or an offer to sell, securities in the United States or elsewhere. Closing of the transaction is not conditional on the completion of any of the foregoing. Information in this press release that is not current or historical factual information may constitute forward-looking information, including future-oriented financial information and financial outlooks, within the meaning of securities laws, related to the timing and completion of the Saks acquisition (including the financing thereof) and the anticipated benefits of such acquisition, including the timing and value of anticipated synergies, revenue growth potential, unlocking real estate portfolio and reducing HBC’s quarterly dividend. This information is based on certain assumptions regarding expected growth, results of operations, performance, and business prospects and opportunities. While the Company considers these assumptions to be reasonable, based on information currently available, they may prove to be incorrect. Forward-looking information is subject to a number of risks, uncertainties and other factors that could cause actual results to differ materially from what the Company currently expects. These risks, uncertainties and other factors include, but are not limited to: credit, market, currency, operational, liquidity and funding risks, including changes in economic conditions, interest rates or tax rates, the timing and market acceptance of future products, competition in the Company's markets, the growth of certain business categories and market segments and the willingness of customers to shop at the Company's stores, the Company's margins and sales and those of the Company's competitors, the Company's reliance on customers, risks and uncertainties relating to information management, technology, supply chain, product safety, changes in law, regulations, competition, seasonality, commodity price and business disruption, the Company's relationships with suppliers and manufacturers, changes to existing accounting pronouncements, the ability of the Company to successfully implement its strategic initiatives, changes in consumer spending, managing our portfolio of brands and our merchandising mix, seasonal weather patterns, economic, social, and political instability in jurisdictions where suppliers are located, increased shipping costs, potential transportation delays and interruptions, the risk of damage to the reputation of brands promoted by the Company and the cost of store network expansion and retrofits, compliance costs associated with environmental laws and regulations, fluctuations in currency and exchange rates, commodity prices, the Company's ability to maintain good relations with its employees, changes in the law or regulations regarding the environment or other environmental liabilities, the Company's capital structure, funding strategy, cost management programs and share price, the Company's ability to integrate acquisitions and the Company's ability to protect its intellectual property. For more information on these risks, uncertainties and other factors the reader should refer to the Company's filings with the securities regulatory authorities, including the Company's annual information form dated April 30, 2013, which is available on SEDAR at www.sedar.com. To the extent any forward- looking information in this press release constitutes future-oriented financial information or financial outlooks, within the meaning of securities laws, such information is being provided to demonstrate the potential of the Company and readers are cautioned that this information may not be appropriate for any other purpose. Future-oriented financial information and financial outlooks, as with forward-looking information generally, are based on assumptions and subject to risks, uncertainties and other factors. Actual results may differ materially from what the Company currently expects. Other than as required under securities laws, the Company does not undertake to update any forward-looking information at any particular time. The reader should not place undue importance on forward-looking information and should not rely upon this information as of any other date. All forward-looking information contained in this press release is expressly qualified in its entirety by this cautionary statement. "Hudson's Bay Company", "Hudson's Bay", "Saks Fifth Avenue"
Saks Fifth Avenue (Saks Inc.) said it reached an agreement to settle lawsuits by investors seeking to block the retailer’s $2.4 billion acquisition by Canadian department-store chain Hudson’s Bay Co. The agreement decreases the potential termination fee from Saks to Hudson’s Bay if the deal fails, and shortens the period in which the Canadian company can match any alternative offer, Saks said today in a regulatory filing. The agreement will pave the way for the dismissal of the lawsuits, the company said. Hudson’s Bay agreed in July to pay $16 a share in cash, a 30 percent premium to New York-based Saks’ closing price on May 20, the day before reports emerged that Saks was exploring alternatives. Investors including Thomas Jennings and Samuel Cohen filed suits against Saks, its directors and Hudson’s Bay. Jennings had said the proposed deal undervalued Saks. The transaction would bring together the Hudson’s Bay, Lord & Taylor and Saks Fifth Avenue brands, creating a company with more than 300 stores and revenue of about $7 billion. The Hudson's Bay Company has launched a new women's sportswear line called 424 Fifth. It will be carried in all Hudson's Bay stores, as well as American Lord & Taylor stores. It launches next January and will be 424 Fifth's first spring collection. Some Hudson's Bay locations will carry the collection in dedicated shops-in-store, including the collection's ready-to-wear as well as accessories. The collection is named after the address of the flagship Lord & Taylor store at 424 Fifth Avenue in Manhattan. The Hudson's Bay Company is looking to expand its private-label business. Private-labels account for about 9% of HBC sales and according to Womens Wear Daily, HBC wants to grow it to about 15% of sales within 3-5 years. According to a press release, the collection will include pieces in the $29-300 range. For more details on the collection, click here for the press release. "424Fifth", "Hudson's Bay Company", "Hudson's Bay", "Lord and Taylor"
Bonnie Brooks, formerly president of Hudson's Bay stores, confirms that Saks Fifth Avenue will open at least one store in the province of Quebec. As we mentioned previously, we expect Saks will open within the Downtown Montreal Hudson's Bay department store. Ms. Brooks then went on to say that Quebec's "fashion-forward shoppers" would embrace Saks Fifth Avenue over lesser-known Nordstrom. Nordstrom opens its first Canadian store next year, and it is interesting to note that none are currently planned for the province of Quebec. Saks will be seeking to gain sales from Montreal's limited luxury goods market. Montreal already has two upscale department stores under the same owner - Ogilvy and Holt Renfrew. La Maison Simons' Montreal store includes some expensive designer items, and specialty retailers like Harry Rosen, Ursula B. and shoe retailer Rosenstein Paris will also feel the impact of Saks in Quebec. Ms. Brooks gave these details during her September 23rd speech at The Canadian Club in Montreal. The Hudson's Bay Company's vice-chair Bonnie Brooks has announced that Saks Fifth Avenue will expand into Asia and Europe. The idea is lofty, and potentially dangerous for the retailer. If they can pull it off, however, Saks could become one of the world's greatest global retailers. Ms. Brooks says that she thinks Asia will be a growth market for Saks. She is no stranger to Asian luxury retailing: Before returning to Canada to modernize Hudson's Bay, Ms. Brooks ran Hong Kong-based Lane Crawford, now one of the world's most prestigious department stores. Saks Fifth Avenue has built many stores in the United States, only to subsequently close them due to low sales. The company has considerable debts. 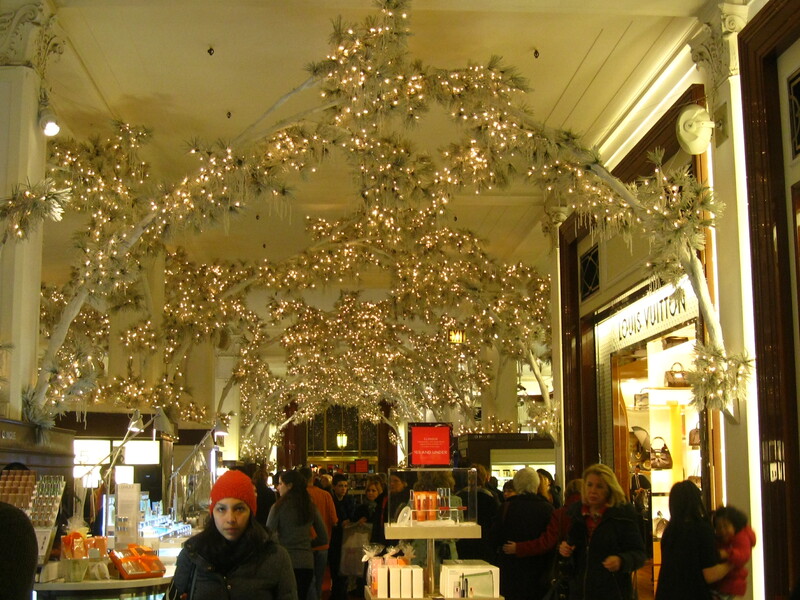 Overseas shoppers may not be as receptive to a foreign department store. Saks already has, however, several international stores in the Middle East and Mexico, as well as a licensed 91,000 square foot store in Kazakhstan which opened last year. If it continues to expand, we don't know if Saks would continue to license its name (as it has internationally) or take over control of its new and existing international stores. 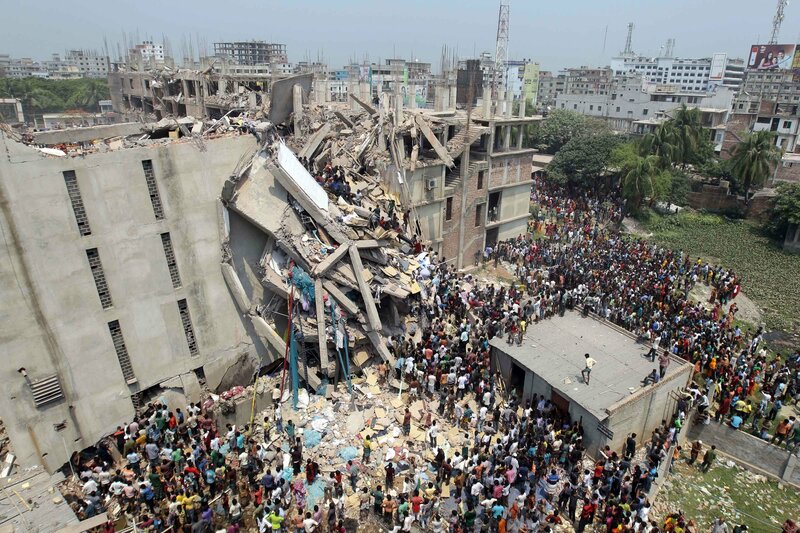 Alternatively, if Saks can make it in Asia, it could become one of the world's great international retailers. Given the limited growth of the American economy, international expansion might be a way to increase Saks' revenues while avoiding home-based competition by retailers such as Neiman Marcus. Ms. Brooks also mentioned the opening of Saks stores in Europe. One problem we see is Saks trying to secure 75,000-150,000+ square foot store spaces in cities with older, typically smaller buildings. One alternative would be for Saks to open in the suburbs of some larger European cities, though being regarded as a suburban store might harm Saks' reputation on a continent where luxury shopping is still mostly confined to urban high streets. Ms. Brooks discussed some of these details during her September 23rd speech at The Canadian Club in Montreal. "Bonnie Brooks", "Hudson's Bay Company", "Hudson's Bay", "Saks Fifth Avenue"